REDUCED! 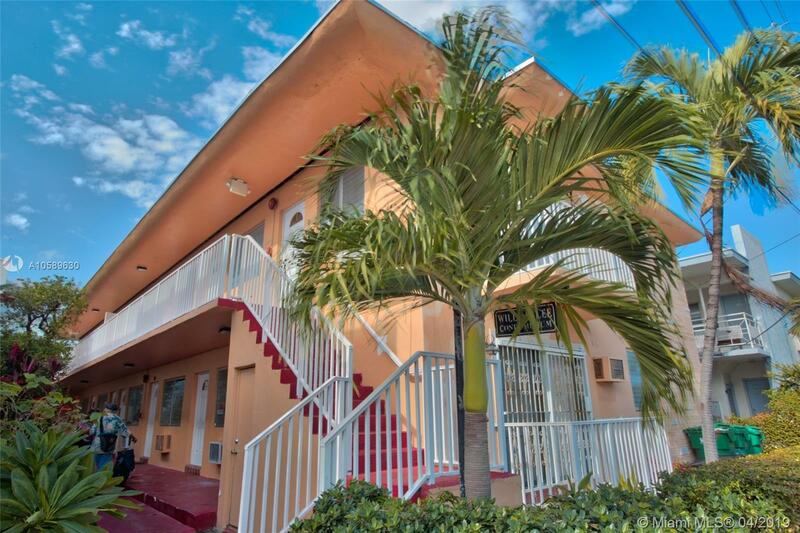 price to sell, Apartment located on the first floor "Corner" only 2 Blocks away to the OCEAN in the mid-Miami Beach area. Well kept Studio with a closed wall and closet that's give to you the privacy of one bedroom, very attractive for investors. Only 12 units in the Building, Laundry Room on site, Easy access to transportation, shops & lots of restaurants with low maintenance.